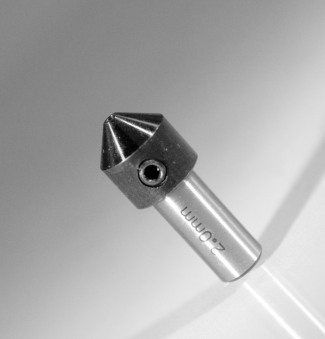 Drill Adapter for solid carbide pilot drill bits. Shank is 10mm diameter and features a flat for tightening screw. Drill bits for this adapter can be found on this page. Two piece design consisting of a machine adapter and drill holder, providing a system for quick changing boring bits, adaptable to a variety of different spindle nose designs. Two clamping screws. For detailed product information. Weeke machines. This style is being phased out and will eventually be replaced with 21300, above. Drill Adapters for use with drill and boring machines that require threaded shank drill bits. This is an adapter chuck that goes between the spindle and a standard drill shank. 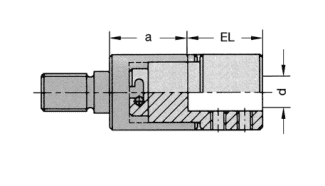 Use of these adapters allow conversion of the machine to accept standard 10mm shank / with flat drill bits and save on cost of drill bit purchase.